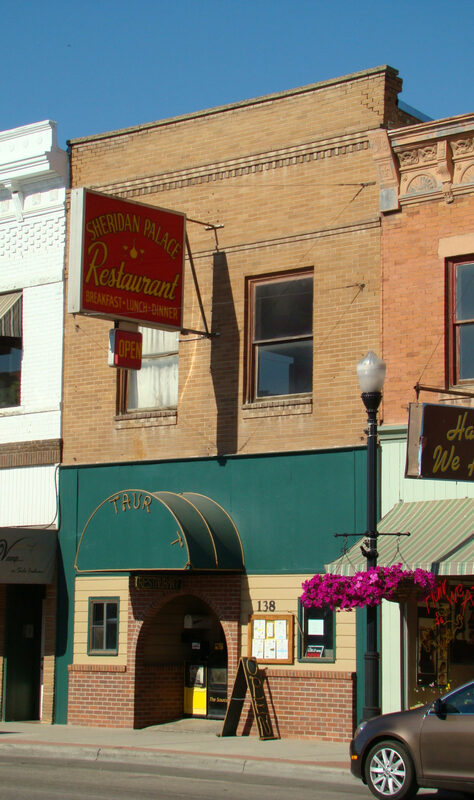 The Palace Cafe had the honor of being one of the businesses to have remained in the same location on Main Street for the longest period of time, opening for business in 1910. Both floors were used as a restaurant. From photographs, it is evident that the establishment was rather elegant with white tablecloths and waiters dressed in white aprons. The new owner, Cowboy Cafe, remodeled the building and now has an outside patio.